Remember SpaceX, Tesla sister company but instead focuses on Space. Last month they successfully launched their Falcon Heavy Rockets to the joy of the whole tech world. Well this time, they have done something better. 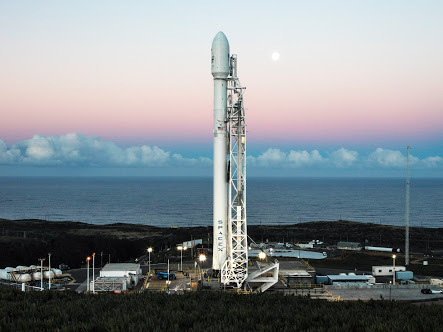 They have launched the Starlink network of satellites on the Falcon 9 rocket. Dubbed Constellation, the network will help provide better internet connectivity to the world. The satellites which are called Microsat-2a and Microsat-2b. There were the two demonstration satellites were the Falcon 9 satellite's secondary payload. The rocket was deployed from California's Vandenberg Air Force Base. The plan is for them to eventually go on to build a network of thousands of satellites called Starlink that would be providing broadband internet access. 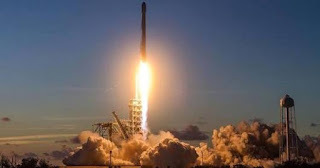 Meanwhile, the launch's primary mission was to transport a radar imaging satellite into low-Earth orbit for a company from Spain, which was launched around 11 minutes after liftoff. . SpaceX also wants to test the communication path of the satellites with the help of three mobile test vans and five stationary test stations based on the ground. So what does this all mean. It means that you can rest easy. Knowing that SpaceX is trying to help everyone have better internet. Thank God.